Kahulanui, which means the big dance, is an inspiration passed down from grandfather Robert Kahulanui Naipo, to father Rodgers L.L. Naipo, Sr., to Kahulanui band leader, Lolena Naipo, Jr. Lolena remembers listening to his grandfather’s stories about playing in the Royal Hawaiian Band in an era when horns and drums were a big part of Hawaiian music. In the 1930s and 40s, Hawaiian swing got the whole house jumping. Today Kahulanui gives Hawaiian swing new life! The band features Lolena on guitar and vocals, Duke Tatom on ukulele and vocals, Patrick Eskildsen on guitar, electric bass, and vocals, and Tim Taylor on drums and other percussion, with Jesse Snyder on tenor sax, Bill Noble on baritone and alto sax, Joshua Timmons on trumpet, Vincent D'Angelo on trombone, and Dwight Tokumoto on steel guitar. Their album Hula Ku’i was nominated for a Grammy for Best Regional Roots Music, and they recently released an EP, From Hawaii to New York. 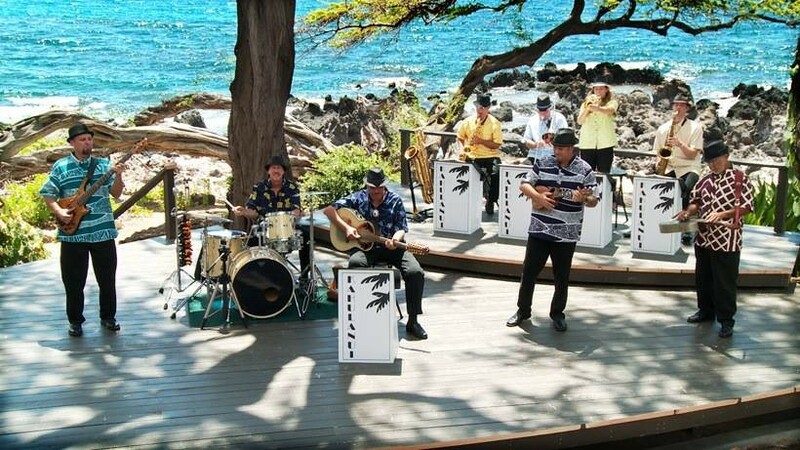 Enjoy the swinging Hawaiian sound of Kahulanui at the Freight!